There&apos;s no question the plugin market has been moving toward bundles from major developers over the past several years, often based around a monthly subscription; much of the credit (or blame, depending on your perspective) is due to Slate Digital, who&apos;s wildly successful Everything Bundle largely changed the landscape of how developers monetize their releases. While they&apos;re fairly new to the bundled plugin marketplace, legendary Swedish developer Softube needs little introduction; ask any seasoned engineer or producer and you&apos;ll likely find at least a few of their releases on steady rotation in their DAW sessions. 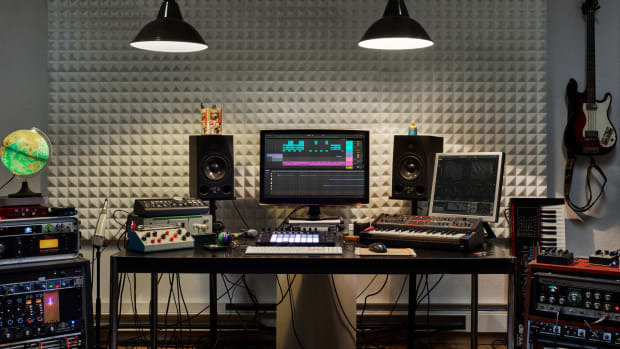 In addition to the hugely successful plugin releases under the Softube brand, the company&apos;s DSP team has also coded major releases for some of the biggest names in the industry, including Universal Audio and Native Instruments. In this review, we&apos;ll take a look at Softube&apos;s latest bundle release—Softube Volume 2— which includes a number of the company&apos;s most famous plugins as well as some standout new releases, including an absolutely killer modular synthesizer. There are many things to love about Softube Volume 2, but Gobbler—the installation manager app Softube now uses—most certainly isn&apos;t one of them. I&apos;ve written about my issues with Gobbler in past reviews, so there&apos;s not much point in rehashing here. To their credit, while Gobbler is the recommended installation and update application, Softube does provide single installers for users who don&apos;t want to use Gobbler to manage their Softube plugins. While this is a good step, it&apos;s also a bit frustrating that the company hasn&apos;t built a more robust plugin authorization manager and updater app themselves, especially once you&apos;re trying to manage a dozen or more plugin installations with a bundle package. Once you get the plugins installed—either via Gobbler or manually—things get quite a bit smoother. Softube Volume 2 requires iLok authorization (either dongle or machine based), so once you&apos;ve deposited the iLok licenses you&apos;ll be up and running in no time. 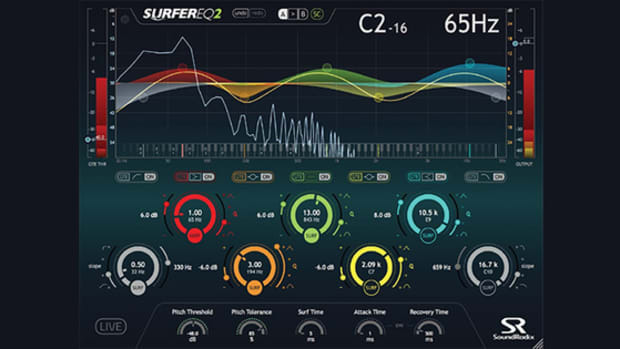 Softube Volume 2 includes 19 plugins, including several of Softube&apos;s greatest hits and a number of promising new releases, spanning a wide range of sounds and mixing/production needs. 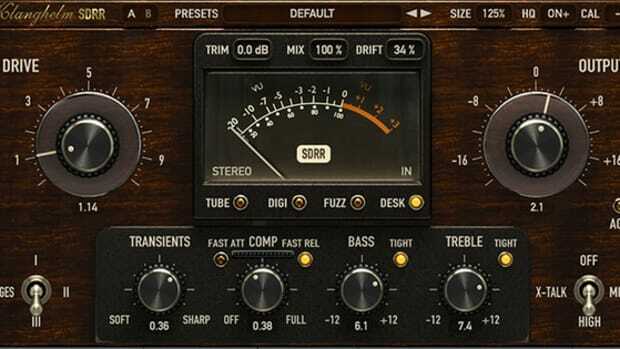 If you&apos;re after vintage processing, you&apos;ll find the Summit Audio plugins (including the Grand Channel, EQF-100 Full Range Equalizer, and TLA-100A Compressor), Tape (which we previously reviewed), FET Compressor, and Trident A-Range to be supremely useful. For those after amps and tone, Volume 2 includes the superb Tube Delay, Vintage Amp Room, Bass Amp Room, as well as a range of modulation options including Fix Flanger, Fix Doubler, and Fix Phaser. Other standouts include two superb synthesis options—Modular, Softube&apos;s take on Eurorack modular synths, and Heartbeat, a stellar drum machine—as well as the TSAR-1 and TSAR1-R reverbs, and two of Softube&apos;s most recent standout releases, the Weiss MM-1 Mastering Maximizer and Drawmer S73 Intelligent Master Processor. There&apos;s a lot on offer here, and while the plugins included in Softube Volume 2 vary widely in function and purpose, Softube&apos;s stellar design and development skills are on display in all of them; the plugins are snappy and responsive, with beautiful and functional GUI&apos;s. For the most part, Softube Volume 2&apos;s plugins are light on CPU usage, which is especially impressive given the quality of analog emulation here. The headline release in Softube Volume 2 is undoubtedly the Weiss MM-1 Mastering Maximizer, which offers a simplified take on the legendary Weiss DS1-MK3 dynamics processor. Whereas the DS1 offers a plethora of in-depth controls, the MM-1 distills much of the advanced functionality which made the DS1 a staple of high-end mastering houses for the past several decades into a radically simplified interface. In our testing, the MM-1 didn&apos;t disappoint. It&apos;s one of the most impressive &apos;one-knob&apos; plugins we&apos;ve ever come across, and it does a brilliant job of punching up and enhancing masters, stems, and individual tracks. 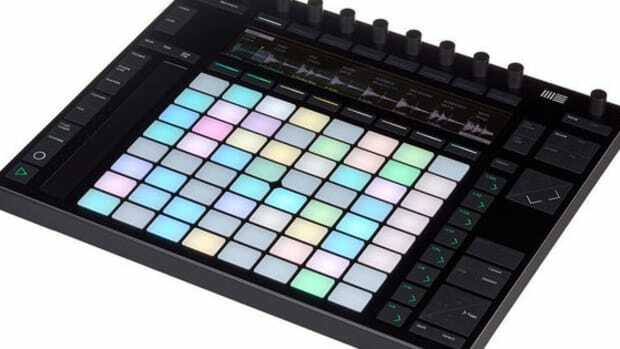 The MM-1 offers five different Style modes—Transparent, Loud, Punch, Wide, and Deess—each of which applies the (very transparent) sound of the DS1 in different ways to source material. Punch and Loud have been getting a ton of use in recent sessions of mine, and the Wide setting was a surprise hit for me; I&apos;m not sure exactly what&apos;s going on under the hood, but it has a way of organically enhancing and amplifying the side signal of a buss or stereo mix in a really unique way. While the MM-1 isn&apos;t the only limiter/maximizer you&apos;ll want in your arsenal, it&apos;s a seriously handy tool for all kinds of mixing and production scenarios. There&apos;s no question Modular synthesis has taken the electronic production world by storm over the past several decades, largely thanks to Doepfer&apos;s revolutionary Eurorack standard; while Moog and other manufacturers had created brilliant modular synths long before Eurorack existed, Doepfer enabled it to spread to the masses at an affordable price point. Modular, which Softube says was developed in close collaboration with Doepfer, is the company&apos;s take on modular Eurorack-style synthesis; any cable goes just about anywhere, and Modular accommodates everything from the most basic to most advanced Modular routings you can dream up. Adding to the sense of realism are digital recreations of many real-life Eurorack modules; the basic system includes digital versions of six Doepfer units (A-110-1 VCO, A-108 VCF, A-132-3 Dual VCA, A-140 ADSR, A-118 Noise/Random, A-147 VCLFO), as well as a host of utility modules, including MIDI to CV/gate, sequencers, and more. Additionally, users can (at extra cost) purchase add-ons from a who&apos;s who of modular synthesis, including the famous Buchla 259e Twisted Waveform Generator. While modular synthesis can be highly intimidating at first, Softube Modular is a truly deep plugin capable of just about any sound you can imagine—it&apos;s well worth the learning curve. If you&apos;re after tone and distortion, you can&apos;t go wrong with the Vintage Amp Room and Bass Amp Room, both of which offer a select range of classic guitar and bass amps and speaker cabs, complete with flexible mic positioning. Distortion is one of the hardest analog processes to really nail in the box, but Softube has done a superb job modeling everything from low gain to high gain setups, and although there aren&apos;t a ton of amps on offer here, there&apos;s a wide range of tonal possibilities—and they sound great on synths, background vocals, synth bass, and much more than just guitars. Rounding out the bundle are some of Softube&apos;s most legendary analog recreations, including the Trident A-Range EQ, FET Compressor (an 1176-esque model), and the Summit Audio Grand Channel, EQF-100 EQ, and TLA-100A Compressor. All of them are great, and the Trident A-Range is one of my favorite EQ&apos;s for broad tonal adjustments—it&apos;s parallel bands interact in some surprising and unusual ways, and it&apos;s one of the most musical sounding EQ plugins you&apos;ll find anywhere. 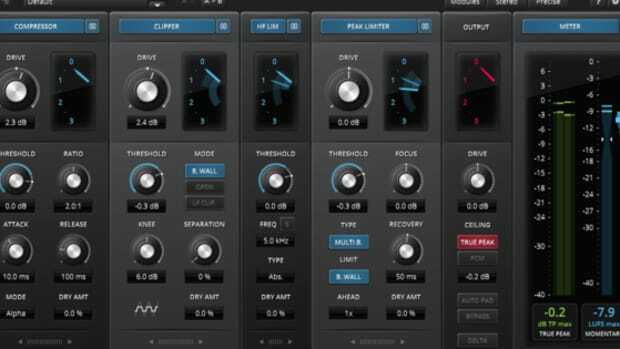 Softube&apos;s FET, despite its age, is still one of (if not the best) 1176 emulation I&apos;ve come across, particularly if you&apos;re after parallel, NYC-style compression; its phenomenal for blending in just a bit of crushed signal to a single track or stem, and it continues to be one of the best drum compressors you can find in the box. 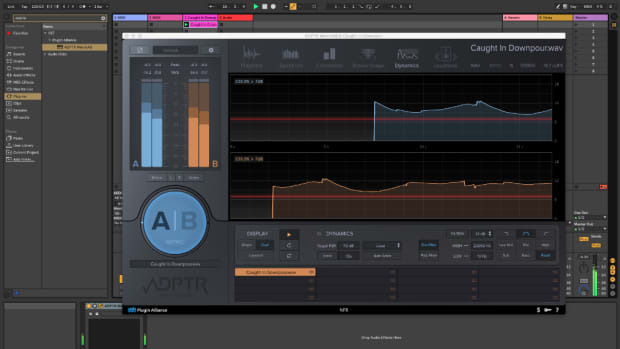 Softube has recently begun rolling out re-coded and enhanced versions of their legacy analog emulations, and we hope the FET will get the same treatment sometime soon. 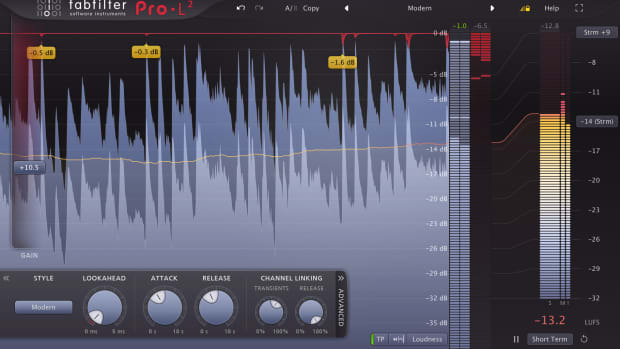 The Summit Audio processors are similarly stellar, and the EQ&apos;s, in particular, are capable of broad tonal reshaping. I loved just about everything about Softube Volume 2. The only notable disappointment for me is Softube&apos;s new preset management system, which I found difficult to use and understand. While I think Softube&apos;s design team had the right intention with the preset system, in use it&apos;s clunky and hard to navigate unless you have a massive screen, and even then, it&apos;s not ideal. While it&apos;s definitely not a showstopper, we do hope to see improvements to the preset system in the future. For We&apos;d highly recommend Softube Volume 2 if you&apos;re looking for a bundle which offers just about everything; there&apos;s superb modulation, EQ/dynamics, amp/distortion, and sound generation on offer here, which is a nice contrast to many other bundle offerings, most of which offer only effect plugins. 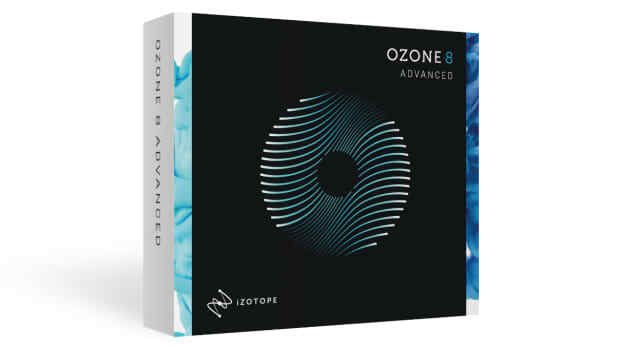 As always, Softube delivers top-notch processors, and their DSP remains up there with the very best in the industry. 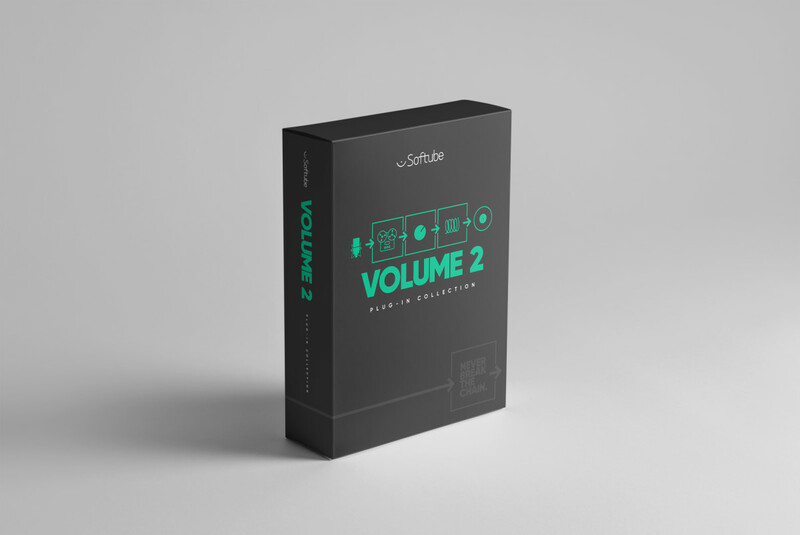 If you&apos;re looking for a bundle to radically expand your DAW&apos;s sonic palette, you can&apos;t go wrong here—and there&apos;s a tremendous amount of value when you compare Softube Volume 2 to buying its constituent plugins individually. Highly recommended.